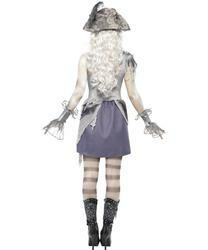 Look like a ghostship pirate and like the undead residents of the Pirates of the Caribbean with our gorgeous and horror filled Ladies' Madame Voyage fancy dress costume. 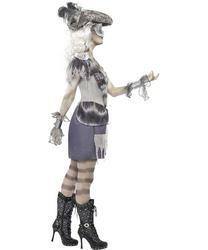 Included is a one shoulder dress with a grey fitted top and a blue skirt, both are decorated with pieces of grey fabric that are attached to the dress. 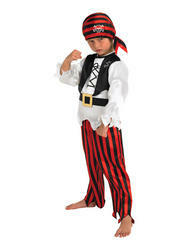 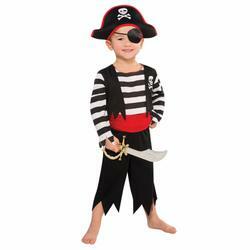 There are two great accessories with this Halloween pirate outfit a silver coloured eye patch and a grey mottled Pirate's hat with a dark feather attached. 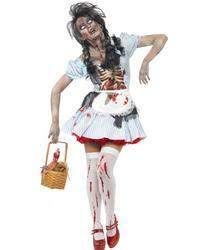 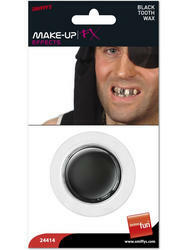 A fabulous all in one horror pirate costume, perfect for Halloween!